Dar Al-Islam Corporation has been incorporated to provide Hajj and Umrah services for our North American prospective pilgrims. At Dar Al-Islam we make pilgrim's needs the focal point of our services. Such services include managing pilgrim's round-trip flight to the sacred places, hotel stay during the trip, performing the qurbany, transportation between airport and hotels, Medinah and Makkah, and in-between Hajj Manasik (Mina, Arafah, Muzdalifah). And first and foremost ensuring that our pilgrims do not miss a single ritual of Hajj or Umrah. At Dar Al-Islam we take serving the pilgrim as an honor, not only a responsibility. We want to make Hajj and Umrah affordable for many many brothers and sisters. Therefore, you will find our Hajj and Umrah packages, if compared item-by-item, the least expensive in the North America. We provide affordable packages with such outstanding pilgrim services. Our ultimate hope is to get credit for our services from Allah Jella Jalalho on the Day of Retribution. Dar Al-Islam is dedicated to providing the best pilgrim services available. We comply with the very strict requirements to serve the guests of Alrahman Jella Jalaloh. While Hajj and Umrah have become not only a wish but also a dream for many brothers and sisters, due to the skyrocketing costs and fees, at Dar Al-Islam, we truly want to alleviate this burden and make your journey for the House of Allah, Jella Jalaloh, easy, affordable, and humble, such that when you stand on Arafat, you remember the grace and the bounty of Allah, Azza Wejell, who gave you the health and the wealth to be there. 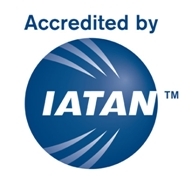 Dar Al-Islam is fully accredited by The International Airline Transport Association (IATA).